Photo / Al Benton Native Mobilian Vince Dooley became a legend in the college football circuit, but did you know he is also a Master Gardener and horticulturist? 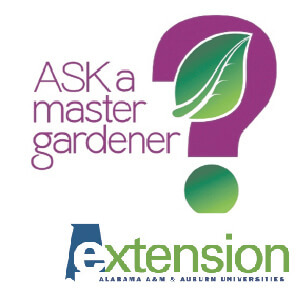 He’ll speak at the Mobile County Master Gardeners’ 2019 Spring Seminar Feb. 18. Vince Dooley grew up in Mobile, graduating from McGill Institute. He accepted a football scholarship from Alabama Polytechnic Institute, now Auburn University, and upon graduation was commissioned a second lieuten- ant in the U.S. Marines. After fulfilling his military obligations, Dooley was invited by Auburn Coach “Shug” Jordan to return as their assistant football coach. Surprisingly, especially to himself, Dooley’s next job was as head coach at the University of Georgia (UGA) at age 31. He would go on to lead them to a national championship in 1980 and Southeastern Conference championships in 1980, ’81 and ’82, with teams that included Herschel Walker and Terry Hoag. In 1989, he left coaching to become full-time UGA athletic director. ter Gardener training and auditing horticulture classes at UGA seemed a good idea. UGA at the time had two world-renowned horticulture profes- sors: Dr. Michael Dirr, author of 13 books, primarily studying trees and woody plants; and Dr. Allan Armitage, expert on an- nuals and perennials. As Dooley learned from these men, their enthusiasm was contagious, and he began to travel with them, collecting plant specimens for his home garden. Dooley’s leadership and organizational skills weren’t wasted, either. He soon involved himself in developing the UGA campus into an arboretum, aided by an outstanding committee of forestry experts and horticulture professors, including his mentors, Drs. Armitage and Dirr. As he fulfilled his duties with the NCAA auditing team, traveling to college campuses, he studied their arboreta and brought back a vision for the UGA project. Today, there are three campus tours totaling nearly five miles in which 154 trees on the campus are mapped and labeled. He then found himself on the horticulture lecture circuit, perhaps because of his novelty as a football coach and gardener. The University of Georgia Athletic Association funded the Vincent J. Dooley Endowed Chair of Horticulture to honor him. Coach Dooley had little experience with gardening during his childhood in Mobile except for one recurring event each May morning at the Cathedral School. Vince would help his dad weave blue hydrangea flowers in a wire wreath, then climb a ladder to place the flower crown atop the statue of the Virgin Mary in the school’s yard. Many years later, at their home in Athens, Georgia, his wife, Barbara, planted some blue hydrangeas (Hydrangea macrophylla) from a nursery that was going out of business. 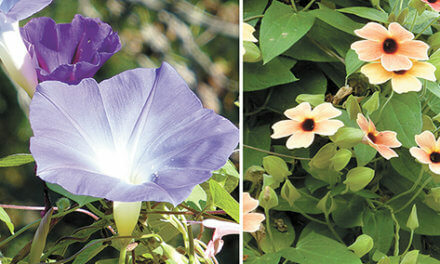 For years they flourished in her garden until Dr. Dirr noticed they survived a deep freeze in 1996 and again in 1998. Dirr took some specimens and, after confirming their unique cold-hardy nature, named them ‘Dooley’ bigleaf hydrangea and introduced them to the nursery trade. They are still beautifully commanding their spot near the house but are even more beautiful in Cape Cod, Massachusetts; Long Island, New York; and other northern climes. Another important gardening influence was their family gardener, Henry. He had learned by doing and demonstrated to Dr. Dirr a unique and effective layering technique for reproduc- ing hydrangeas. Two other lessons he shared with Dooley were preparing the soil, including compost, and finding the spot a plant will be happy. Dooley admits he keeps new plants on his patio to get to know them a bit, then picks a good spot for a more perma- nent home. He doesn’t mind moving the plant again if it doesn’t do well. The Dooley home garden now also includes 120 camellia cultivars and 40 duplicates. Among those is the camellia ‘Vince Dooley’ that was named by the American Camellia Society. A cross of Camellia japonica and Camellia reticulata, it has large, bright, single Georgia-red flowers. Dooley recently added five acres to the gardens around his home to accommodate his many plants. Garden touring all over the world has become a part of Coach Dooley’s retirement, too. Whenever he travels for football, either as an expert or as a fan, he finds a nearby garden or nursery installation to tour and expand his knowledge. He has also toured scores of gardens worldwide, recommending the list in the book “1001 Gardens You Must See Before You Die.” Many of those trips are with Dr. Dirr, whose objective is to encourage the nursery trade wherever he goes by expanding available and reliable varieties and increasing scientific research supporting the business aspects of horticulture. Coach Dooley has brought that idea to his hometown of Mobile. He has come to know many of the leading nurserymen in this area, including K. Sawada, camellia propagator, and the late Tom Dodd, whose family is influential in the multi-million- dollar nursery industry in Mobile County. Dodd was known as a great propagator, sharing specimens with Dooley and millions of dollars’ worth of plants with Auburn University. He was awarded an honorary degree from Auburn before he passed away in 2009 at age 94. Dooley includes among his hometown friends Maarten van der Giessen, local developer of azaleas; Fairhope’s Bobby Green, an expert in historic camellias; and Bill Finch, environmentalist, radio personality and author. As a history buff, Dooley also works with Green and Finch on Civil War battleground preservation, including Baldwin County’s Blakely Park. If you would like to hear this fascinating gardener in person, join us for our Mobile County Master Gardener Seminar, “Foot- ball and Flowers.” Details are below. Deadline to register: Feb. 8; send checks payable to MCMG to 2221 Dogwood Court N., Mobile, AL 36693. Call 251-209-6425 for credit card purchase.